Despite still focusing on player budget and youth training, Sparta Rotterdam are aiming at revenue increase. The club has agreed terms and now owns its stadium almost entirely, paving the way for upgrades and expansion. It hasn't always been easy for Sparta Rotterdam, team balancing between Eredivisie and Eerste Divisie. 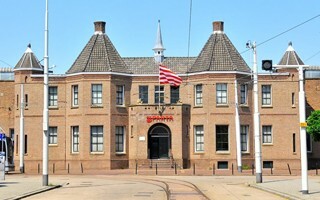 Just 4 years after their current stadium was built, Sparta had to sell even its football facilities to the city in order to rescue the club during financial distress. Most of Het Kasteel was then rebought in 2010 but not all. Agreement with the city isn't a problem but part of the ground has been owned by a real estate fund. This week Sparta was finally able to announce that a deal was sealed with the partner and the club now owns almost all of the stadium, except only for portions in the historic 'castle' part. The news is very consequential as Sparta hope to upgrade the stadium sooner than later, increase revenue from its operation and, eventually, also increase the capacity. Talks with the city are already ongoing about the extent of changes possible and Sparta hope to have a financial structure in place soon.